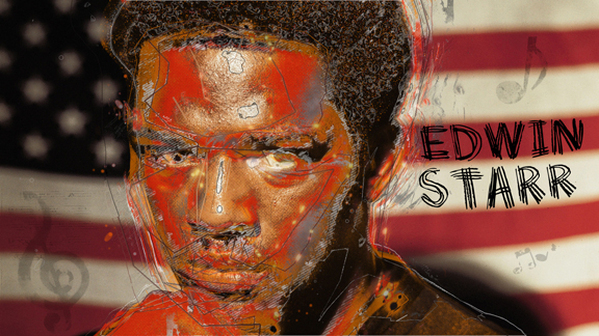 The brother of soul singers Roger and Willie Hatcher, Edwin Starr was raised in Cleveland, where he formed the Future Tones vocal group in 1957. They recorded one single for Tress, before Starr was drafted into the US Army for three years. After completing his service, he toured for two years with the Bill Doggett Combo, and was then offered a solo contract with the Ric Tic label in 1965. Although he's best known for his timeless anthem against the futility of war, his first single on Ric Tic was “Agent Double O Soul,” a US Top 30 hit that he promoted by appearing in a short film with actor Sean Connery, best known for his role as James Bond. The Happy Medium Song of the Day is “Agent Double O Soul” by Edwin Starr.